Paris, Antibes, Corsica – three distinct regions of France to explore: Paris for a cultural holiday, Antibes for time in the sun and Corsica to experience life along the coast. No need to use Halloween as an excuse to walk through one of the many cemeteries in the city. 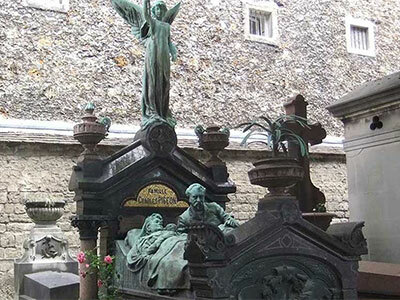 Those of Père-Lachaise (the most visited in the world), Montparnasse and Montmartre are all worth the journey. All are known for being the final resting spots for celebrities from all walks of life. Art lovers will feel spoiled by the sight of headstones that rival in boldness and grandeur. If you’re unable to find the grave of the person you’re looking for don’t hesitate to ask the staff on site, they will be happy to tell you which path to follow. 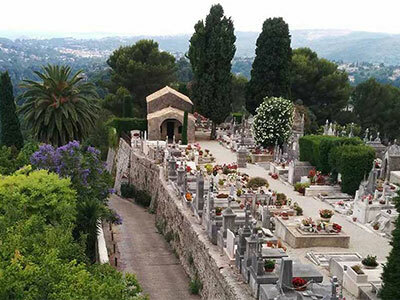 Make sure you have a few hours to wander the labyrinthine streets, and bring along a light snack – if you’re comfortable picnicking in a cemetery! Put yourself in the shoes of an aristocrat for a day! 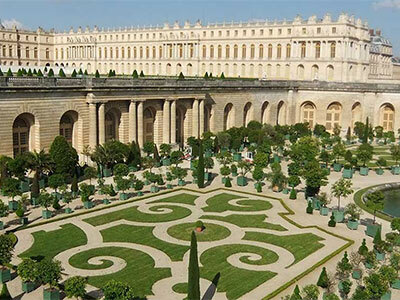 The visit to Versailles is worth its weight in gold, but it’s important to plan the day accordingly. The tickets we purchased in advance on the internet weren’t much help – the line of people who already bought tickets was longer than the one with visitors who didn’t. Be patient and don’t lose hope, because what you see inside will wow you. With a total area of 815 hectares, the castle contains a variety of ponds, fountains, statues, gardens, kiosks, restaurants and famous landmarks. If after exploring it all you have some time, a ride on the Grand Canal in a gondola is a must! Arrive early, and rent a bike on site to maximize your trip. 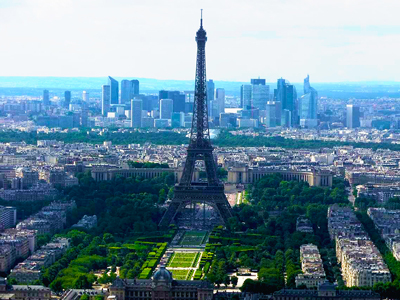 The Montparnasse Tower is strongly criticized for its disproportionate height of 210 meters, but it ironically has the only point of view that allows you to admire the Eiffel Tower in its full glory. Less crowded than the famous Iron Lady, the Montparnasse Tower houses a permanent exhibition, two restaurants, a shop and a rooftop terrace with a 360 degree view. It’s hard to predict, but try and pick a day where the weather is clear – you will be able to see the breathtaking 40km radius of a view. If you hate elevators, your uneasiness will be short lived – you go up all 59 floors in just 38 seconds! The catacombs of Paris are one of the most major attractions in the city, and apparently one of the most difficult to see. I tried four times, without success. You can’t pre-order tickets online, and a monstrous line is waiting at any time of day. There are a group of Parisians that offer to lead visitors through the underground maze at no cost. Try this option to get an inside perspective while staying on budget. 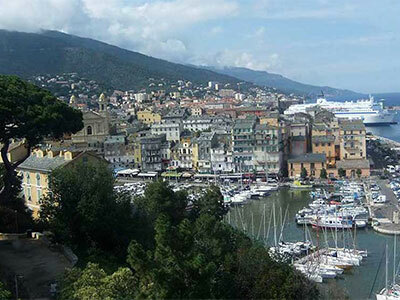 Take the time to walk around Nice and enjoy its beautiful scenery. 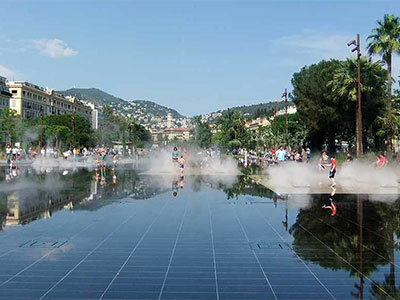 You can walk for hours, then cool down at the Promenade du Paillon with water droplets from sprinklers embedded in the ground. Get lost in the pleasant pedestrian side streets of Old Nice, admire the statues in Place Massena, savour the socca (a dish made of chickpea flour), and enjoy a swim in one of the many pebbled beaches. Enjoy a splendid view of the city from the top of Castle Hill (accessible on foot or by elevator, for free). Wear water shoes for swimming. Walking barefoot on pebbles is painful! A trip on the Visiobulle (a boat with a glass paneled bottom to watch the fish from) is a favourite activity among all ages. 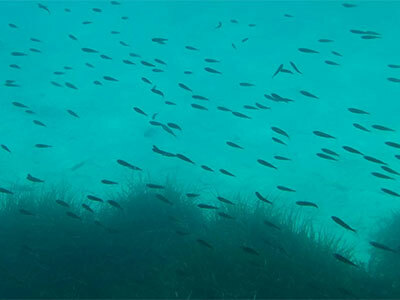 It’s rare that you can observe the sea floor without first donning a mask, fins, and a wetsuit. The funny canary yellow boat gives you fantastic access to the heart of the Mediterranean, all while staying dry. If you're lucky, you may even be able to marvel at the grace of a jellyfish rippling in the middle of a school of silver-reflecting fish. If you get the chance, position yourself in the ship's hold to reserve the best location. You have to drive towards the Verdon Gorge in the French Alps to understand what the term “evil heart” means. The view is breathtaking. Motorcyclists perform daring maneuvers (if not suicidal!) and the road winds along the mountainside. Turn left, then right, then left and right again ... and so on until nausea ensues! Once there, wander on the Chaulière Bridge, the highest bridge in Europe used for bungee jumping. Bring Gravol – it will be your greatest ally on the winding road. 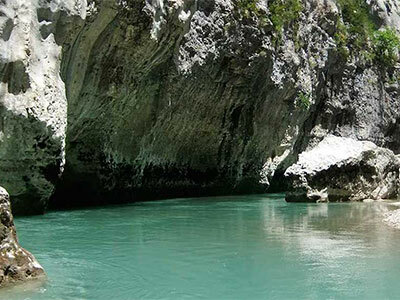 Finish your day by renting a kayak and drifting slowly over the clear waters of the Verdon, which are a hypnotic color ranging from frosted blue to jade green. St-Paul-de-Vence is a walled commune where you feel like you’re reliving the medieval era. Charming at first sight, you are touched by each work of art, every house, every stone. Even the cemetery has a vibe that calls to you to go back. The only downside: the number of tourists per square metre greatly exceeds the capacity of its narrow, flower-lined streets. Looking for the perfect gift for a loved one? You are in the right place! St-Paul-de-Vence is a mecca for art galleries and dozens of well-established designers. You can also visit the workshops of most of them. Taking the ferry to Corsica is an experience in itself. It takes about 5 and half hours from Nice; the crossing is a good compromise between a trek on the water and a real cruise. Enjoy the long hours of relaxation you have before you. Arm yourself with a good book and bask in the sun in one of the many sun loungers available. Unwind! Have no expectations, or as little as possible. Get a new SIM card for your cell phone when you get to your destination. Packages in France are affordable and your trip will be even more enjoyable. Accept the unexpected as part of the traveller's experience, because you can’t escape it. And remember that these are the best stories to bring back!